Increasing your club head speed. 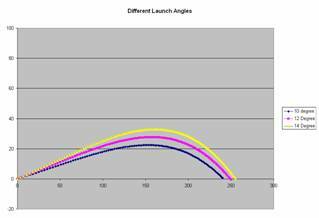 Optimize your launch angle by getting tested on a launch monitor. Play a ball that gives you the most distance. 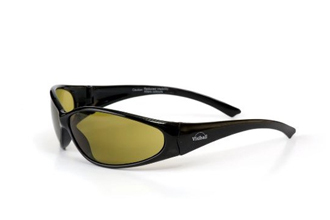 One that has sufficient speed, backspin and feel. Which golf ball do you play? Do you have a favourite? How does it compare the claimed "longest balls" in the game? How much does it cost? What do you feel are the most important characteristics of a golf ball? Length? Spin? Feel? Cost? Many golf balls are expensive. A sleeve of Pro V1 s will cost around $15 US. That's $5 a ball. Other types of balls cost much less such as less than $20 per dozen. Are balls like the Pro V1 and Nike One actually worth the large cost? It depends what you want in a ball. If what you want is more length, these balls will not provide what you think. 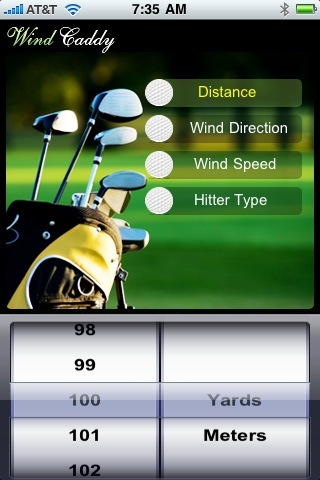 View Demo of how they help you find your lost golf balls. There have been a number of studies over the past few years that have tested and compared the length of the game's best balls. Some have used the mechanical hitting machine, The Iron Byron, and some have used real golfers just like you. In this report, I provide the golfer with mathematical, scientific conclusions as to the significance of any differences in the golf ball testing results. You can order a copy of the report below. You can have it in your computer within the next 5 minutes. The report costs less than a sleeve of premium golf balls. Learn which golf balls on the market today are the longest and the shortest. Over 50 of the game's most popular balls were tested in 2007. Learn about the differences between such balls as Titleist Pro V1, Nike One, Callaway Tour i, Srixon Pro, Top-Flight XL 5000, Pinnacle Platinum, and Noodle + to name a few. Learn if there's actually a golf ball that's long and also has high spin. Learn about the different TYPES of golf ball construction. Learn which type of golf ball is BEST for your game. Learn how dimples are important to a golf ball. Is there a number of dimples that optimizes distance? Learn about golf ball compression. Does it really matter? Learn how temperature and humidity affect distance off the tee. Learn about used golf balls. Should you play golf balls that you find? Is distance related to the age of the golf ball? Learn a process to follow to determine the BEST ball for your game. Learn about golfers' obsession with distance. Do golfers actually hit the ball further today? What changes have occurred in golf ball and club construction? The basis of the report is a statistical analysis. Samples of balls are taken to perform the tests. Each ball of the same brand and type will go different distances each time. A "distribution" of distances is collected. Usually, the mean (average) distance is calculated as well as the amount of variance in the distances. If a ball were hit many times, the spread of the different distances would be "normally distributed," like the graphs above. Most balls would travel a distance close to the mean but there would be some which would differ significantly. One length club, one set up, one swing, more consistency. Let the club do the work. 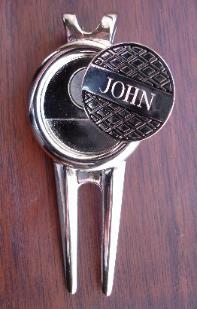 Enter the code 10504 and receive a complimentary set of club covers. Learn more about these revolutionary clubs HERE. The major determiner of distance next to club speed is club loft. Golfers hit their irons different distances because of their different lofts, not their different lengths. So, why are clubs different lengths? Mainly because of a misconception. A 3-iron is only 2 inches longer than a 7-iron. For a typical golfer, the extra 2 inches in length results in an increase of only 3% in total length and thus only a 3% increase in club speed. But, a golfer that hits a 7-iron 150 yards will hit a 3-iron 190 yards, a 27% increase. What gives? Each brand and type would have its own mean and distribution. So even if the mean distances differed by say 5 yards, depending the the distribution spread, 5 yards may or may not be significantly different. There could be a difference due to pure chance. Maybe the samples of the balls tested did not actually represent truly the balls they represented. Maybe they were lemons or maybe they were the cream of the crop. The study I have done uses actual, scientifically measured distances and proper mathematical statistical analysis to determine what balls are the longest and what are the shortest. You'll find no other study like this. The ball manufacturers won't be pleased with the results. They'd rather you not know how the different balls compared in real golf ball testing. They'd rather dress up their balls with nice packaging and new names each year than subject them to rigorous statistical comparisons with their competitors. Order your copy today. View a snipit of the report below. Read testimonials from my past customers. Once processed, you will be prompted with a link to download. Since the time is very limited, you should download immediately. You will receive an email from PayPal within minutes with download instructions. What is the Longest Golf Ball? Often golf ball manufacturers advertise that they make the longest ball. Some might even provide testing results that compare their ball's distance to their competitors'. They cite statistics that "prove" their ball is the longest. A famous saying about statistics is "there are lies, damn lies and then there are statistics." There is a lot of credence to that statement given the way some manufacturers pick and chose their statistics. Then again, other ball manufacturers don't make such comparisons. Why doesn't Titleist advertise how much longer the Pro V1 and Pro V1x is than other balls? There is a reason for which I'll reveal in this study (Pro V1 was not hit in the study but the conclusions can be applied to all golf balls). Golf ball data is very difficult to obtain. Manufacturer’s do their own testing but are very reluctant to release any of the data (for good reason). There has been some independent testing done. The first big study was done in 1998. 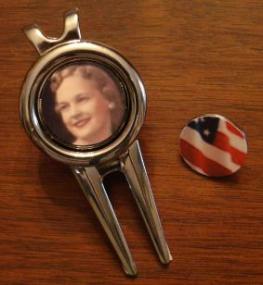 The results published in a book called “Strictly Golf Balls.” The data was collected using a machine ball striker (Iron Byron) for consistency. My first analysis was of that data. What I found was that the hard, two piece balls of the time were significantly longer than the balata balls. Players that played balata balls for feel, spin and control, did so while sacrificing significant distance. These balata balls are no longer made today. I also analyzed data from 2003, 2005 and now data from 2007. The 2003 and 2005 data were collected by having golfers hit golf balls ensuring to count only those that are solidly hit and within a small range of club head speeds (this was to closely simulate conditions that are the same for each ball). The 2007 data were collected by having a mechanical hitting machine (Iron Byron) hit balls under the same conditions. The 2007 data was published in the Feb 2008 issue of GOLF Magazine. My report provides a statistical analysis of that study. Another way to get more distance is to increase your club head speed. This is the least expensive yet very effective radar device that will measure you're speed while you experiment with and improve your golf swing. 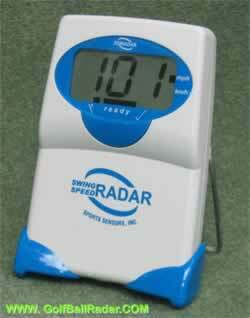 It can measure ball speed as well. ONLY $99.95!! Get the details by clicking HERE. Include velocity feedback when trouble-shooting your swing. 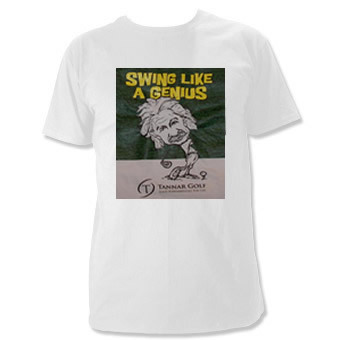 Measure your swing speed improvement as you optimize your swing mechanics. Receive a free copy of "How to hit the Longest Golf Ball Using New Golf Club Technology"
Before continuing, it is important to have a good understanding of how data for golf ball testing is collected and therefore the limitations as to the interpretation of the data. To test one golf ball with another, one must measure both under the same conditions. Use the same club with the same clubhead speed off the same part of the clubface. The measurements involved are all subject to experimental error. There is no such thing as a 100% accurate measurement. All measuring devices have uncertainty. They do not measure the same. Another limiting factor is that one cannot measure all of the golf balls; this is usually too time consuming and expensive. Mathematicians have created tests that incorporate using samples. The larger the sample, as long as it is randomly chosen, the more representative it is of the population it is measuring. Mathematicians have been able to also design tests for small samples that are statistically representative. For example, let's say a one ball manufacturer claims to have a ball that flies farther than its competitor. The company does some tests and finds the average distance for its ball is 252 yds and that for its competitor is 248 yds. The question, "Is 248 yds significantly shorter than 252 yds? ", must be answered statistically. The amount of significance depends on the size of the sample sizes (how many of each ball was tested), how randomly the samples were chosen and on the accuracy of the measuring devices. If the measurements indicated the balls had a 40 yard shorter distance than 4 yards, then it would be which ball was longer. But a 4 yard difference could be due to random chance. It would be similar to flipping a coin 10 times and having 8 heads come up and only 2 tails. Flipping the coin many more times might yield much closer results (100 times: 53 heads and 47 tails). The tests that mathematicians have developed measure the likelihood of a difference being due to chance as opposed to a difference due to another factor (one golf ball does in fact go farther than another because of better construction). Order your copy today. Once processed, you will be prompted with a link to download. Since the time is very limited, you should download immediately.